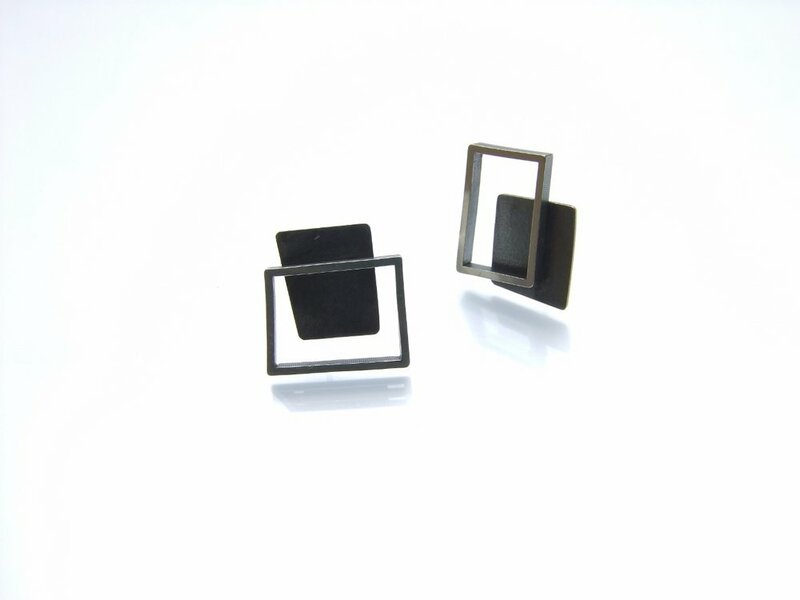 In my collection Black II, I used black and white silk to create two new necklaces as well as two new brooches. I wanted to create 'dangling' pendants and am very excited about the results, especially with the two brooches. 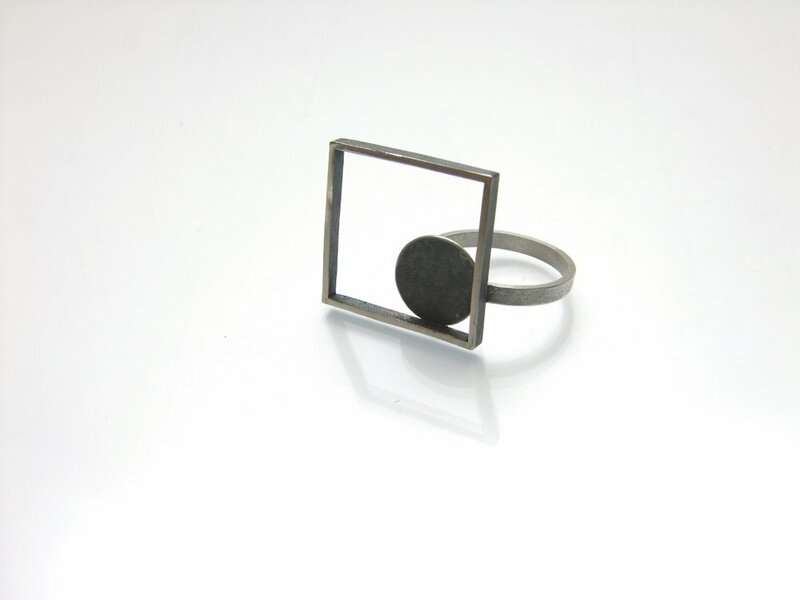 I also experimented with geometric shapes for a series of rings, earrings and cufflinks which I had in my head for some time - and I very much like the results. 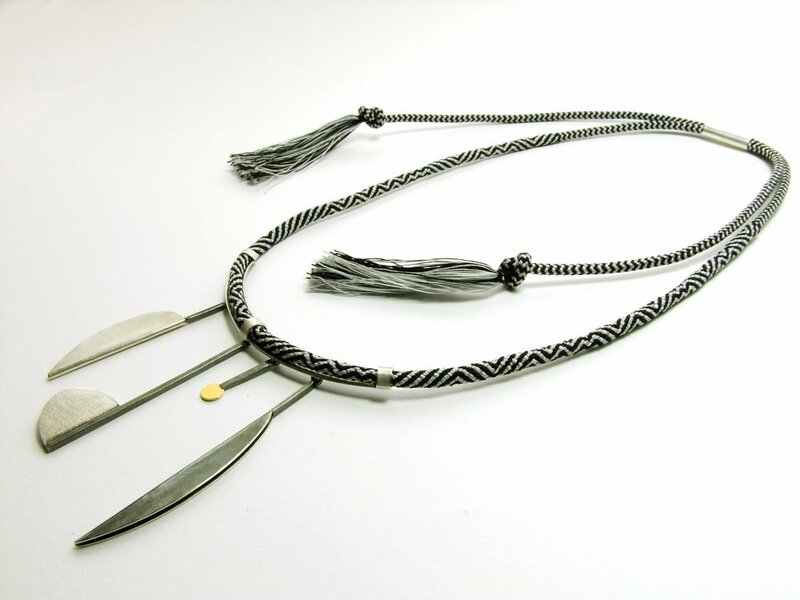 Necklace (HBM050, © 2016), black and white Kumihimo silk braid with four Argentium silver pendants and 18ct yellow gold detail. Necklace (HBM051, © 2016), black and white Kumihimo silk braid with six Argentium silver pendants and 18ct yellow gold fused detail. Both pieces can be purchased from my store. Please click here to enter the SHOP. 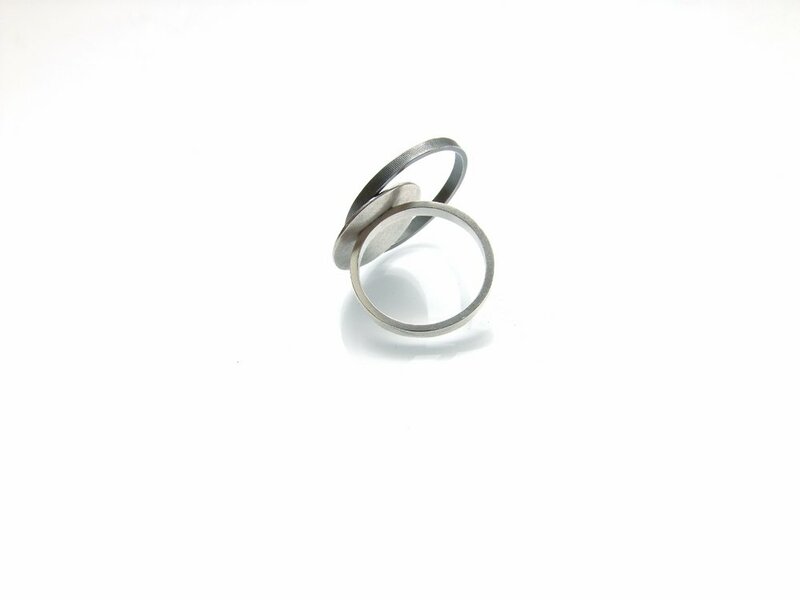 Rings (HBM056 A, B, C, D, © 2016), Argentium Silver in geometric shapes, textured and highlighted against a darkened background. 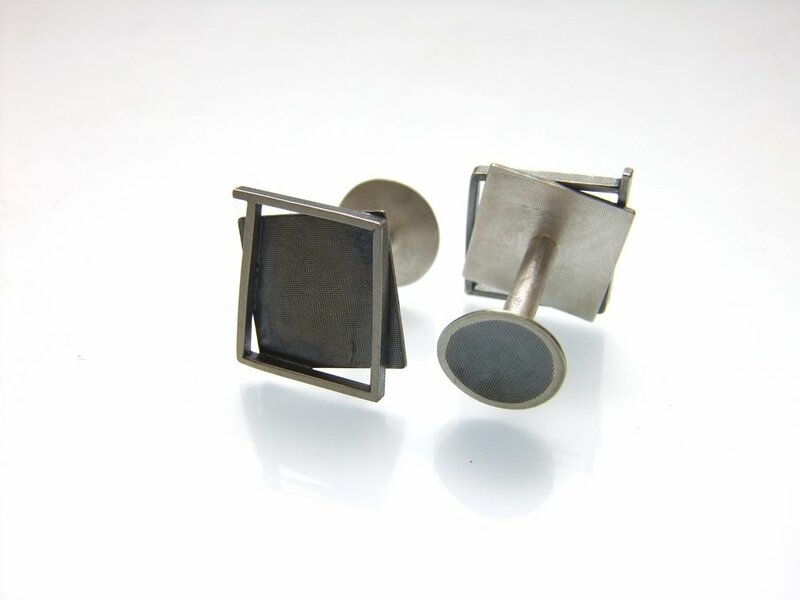 Earrings (HBM055 A, B, C, D, © 2016), Argentium Silver in geometric shapes, textured and highlighted against a darkened background. 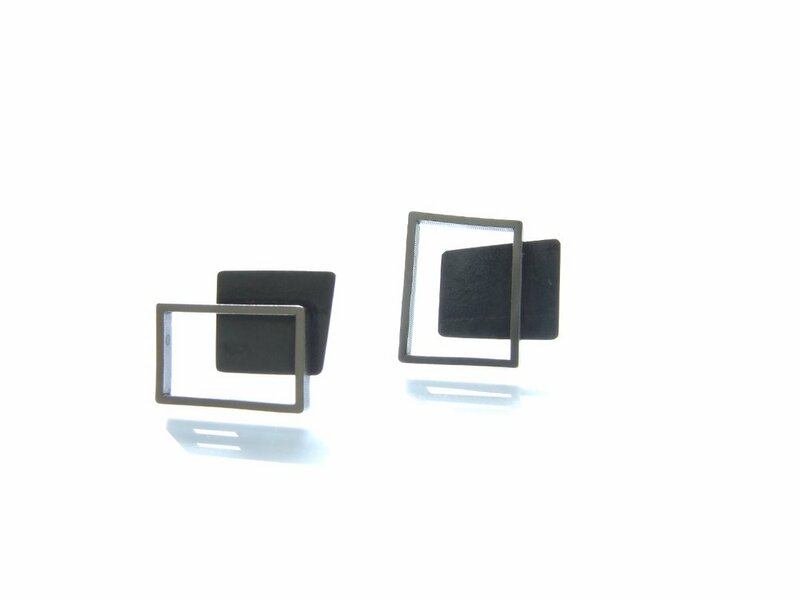 Earrings (HBM049 A, B, C, D, © 2016) Argentium Silver with 18ct yellow gold details fused onto it, some darkened for greater contrast. 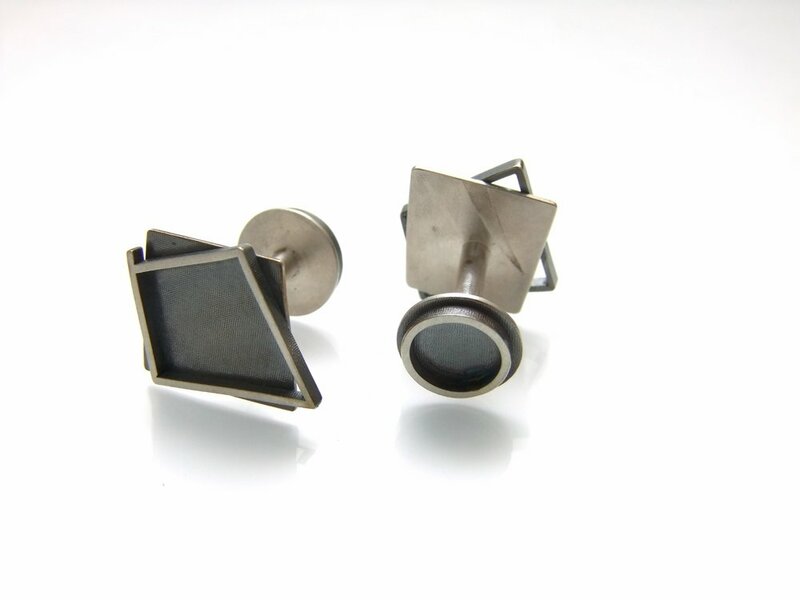 Cufflinks (HBM054 A, B © 2016), Argentium Silver in geometric shapes, textured and highlighted against a darkened background.